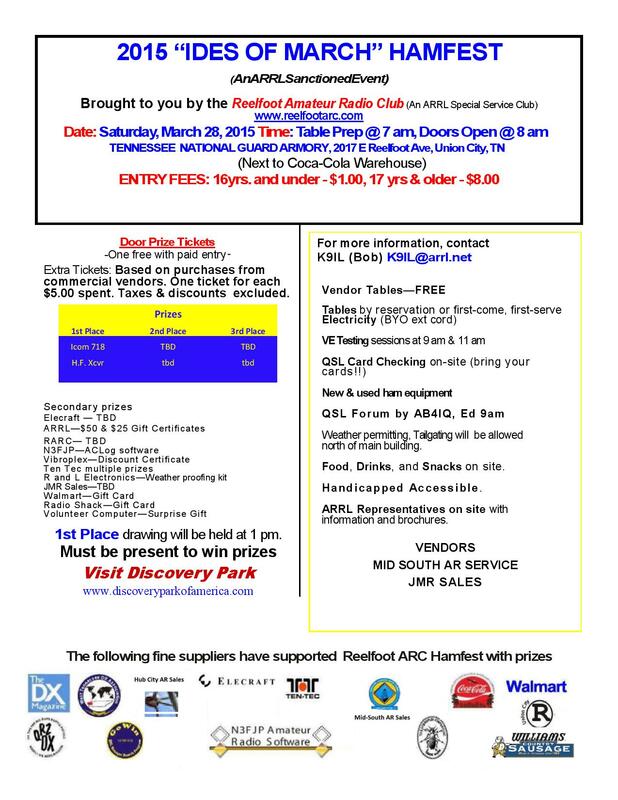 The 2015 “Ides of March” Hamfest is Saturday, March 28 at the Tennessee National Guard Armory. Doors open at 8 AM. For more information check out the flyer below.